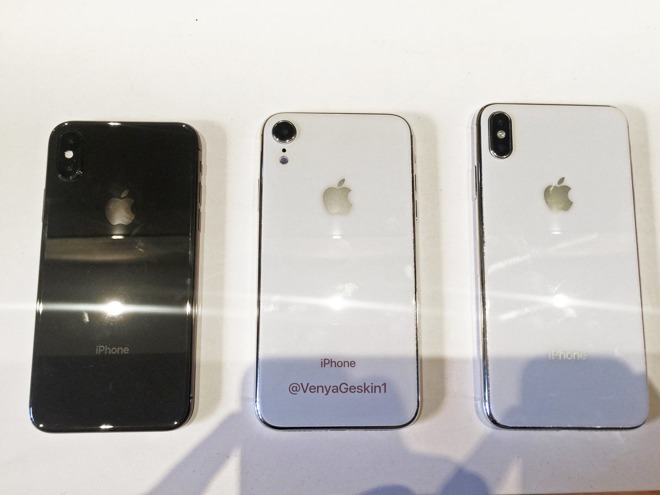 Photos from a prominent leak source are claimed to show the front and back of Apple's complete 2018 iPhone lineup, including a 5.8-inch model missing previously. The images from Ben Geskin depict the 5.8-inch model as having a dual-lens camera like the one on 2017's iPhone X. That's been anticipated, since rumors have pointed to the phone being a direct successor to the X, using upgraded internals such as a faster processor. 6.1- and 6.5-inch devices in the photos are similar to dummy models from another recent Geskin leak, which suggested the 6.1-inch phone will have a single-lens camera. 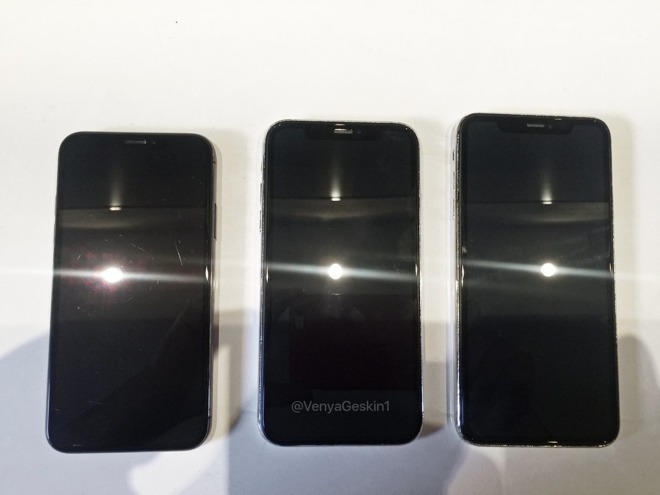 All three devices are shown with edge-to-edge displays and a notch for a TrueDepth camera. Though the source and authenticity of the newest images uncertain, Geskin is a well-known leaker with industry connections. Separate reports have indicated that the 5.8- and 6.5-inch phones will have OLED displays, while the 6.1-inch model will use an LCD. The difference could help put the price of the 6.1-inch phone around $600-700, while the 5.8-inch model slots in at $800-900 and the 6.5-inch one at least $999. The 6.5-inch device should support landscape modes, positioning it as a "Plus" version of the 5.8-inch hardware.